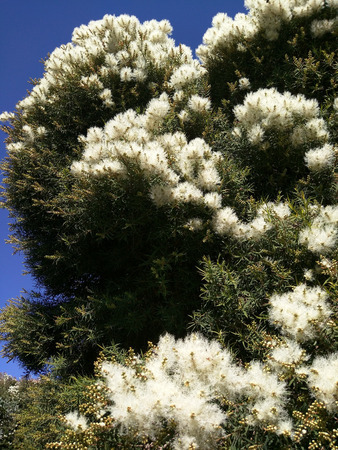 Tea tree, also known as melaleuca, is well-known for its powerful antiseptic properties and ability to treat wounds. Tea tree oil (TTO), the volatile essential oil derived mainly from the Australian native plant Melaleuca alternifolia has been widely used throughout Australia for at least the past 100 years. And for over seven decades, it’s been documented in numerous medical studies to kill many strains of bacteria, viruses and fungi. Tea tree oil uses are numerous: making homemade cleaning products, diffusing it in the air to kill mold, applying it topically to heal skin issues and using it to treat viral infections. It’s becoming an increasingly popular active ingredient in a variety of household and cosmetic products, including face wash, shampoos, massage oils, skin and nail creams and laundry detergents. Tea tree’s natural antiseptic and anti-inflammatory actions make it an essential oil that should truly be part of everyone’s natural medicine cabinet.